Are you looking for a top notch rehabilitation center to recover from your illness or injury? Are you or your parent having difficulty with age-related physical problems? Is Alzheimer’s or Dementia a cause for concern with your aging parent? Has your loved one been through surgery recently and needs physical or occupational therapy to return to prior function? Are you worried about your parent’s safety and well-being while you take a vacation? 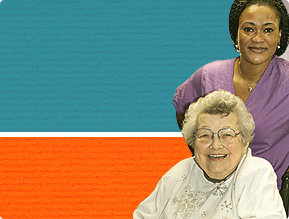 Since 1973, The Holiday Skilled Nursing and Rehabilitation Center has been caring for families just like yours. 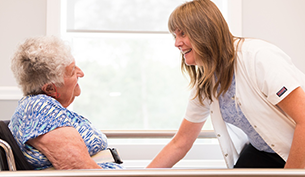 Whether you are looking for long-term care or post-surgery rehabilitation, trust our professional and caring staff to look after your loved one like family. Even if you only need a short-term care arrangement so your parent is not alone while you are on a trip, we are happy to look after them so you can travel stress-free. 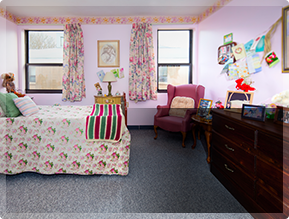 We are the premier facility for skilled nursing, rehabilitation and respite care in Northern Rhode Island(RI). In 2015, we added a state-of-the-art rehabilitation gym that leads the competition in both amenities and technology. All of the features and services your loved ones need to feel comfortable, safe and well looked-after, are available at The Holiday. A care plan is specifically customized for each patient. Minimum respite stay of two weeks based on availability. Our staff makes all the difference: We are a family-owned business and our level of care and commitment, compared to other facilities, many of whom are large, corporate chains, is extraordinary. Our staff-to-patient ratio is one of the highest in Rhode Island. We employ the best staff in the industry. Ask a staffer how long they have been working for The Holiday and most will give you a response of 5, 10, 15, or even 20 years. Patient-friendly building: Our entire establishment is located on one floor, providing easy access for all. No waiting for elevators, no stairs to navigate; our building was designed with the handicapped in mind. You can rest easy knowing your loved ones will safely move around our facility. Our almost complete rehabilitation center is brand new and completely state-of-the-art. A generator powers the entire community so patients never have to worry about loss of power. Top rated in the industry: Over the years, The Holiday has received many awards and accolades. Most recently, in 2017, we received another zero deficiency survey. In addition, we were selected by the community as “The Best in Business” and received “The Reader’s Choice Award” in 2015, 2016 and 2017. Also, we achieved a Three Tier Achiever recognition in 2014, based on extraordinary efforts for improving care measures in three of four areas measured by the American Health Care Association. Satisfied patients: We have countless repeat patients who have been coming here for years. Patients frequently come for a short time or to seek rehabilitation so they can go back home feeling stronger. 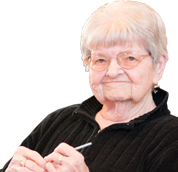 They also come back to us when they need long-term care because they were so impressed with our service the first time. Many families bring their loved ones here after being referred by a family member or a friend who spoke about a positive experience at The Holiday. More than nursing care: In addition to caring for our patients’ daily care requirements, we also offer a host of exciting, well-planned activities and excellent dining arrangements within our community. 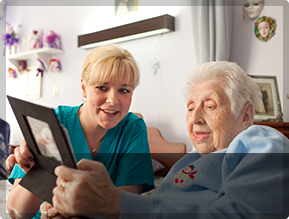 Come see why we have the best nursing, rehabilitation and respite care in the industry. 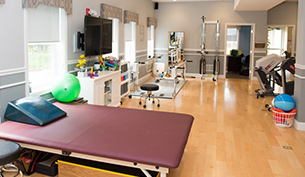 Take a Virtual Photo Tour to see what our Skilled Nursing and Rehabilitation Center in Manville, Rhode Island has to offer. Have questions? Visit our FAQ page to find out more about The Holiday or contact us today to request a consultation and book a tour.